Authority: The OJEE 2019 exam centers will be decided by the head of the OJEE examination. 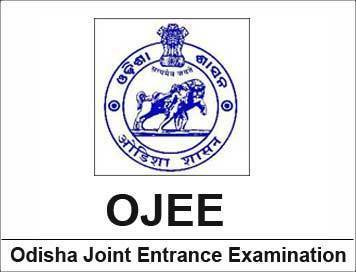 Locations: The OJEE 2019 entrance exam will be conducted across 20 exam cities in Odisha. The candidate has to enter 3 options for OJEE Exam centers in the application form. does ouat exam centre are not present outside odisha like in gujrat?? OJEE 2018 exam will be conducted only in Orissa. Click here to know the exam centres. Will the OJEE exam be conducted in Berhampur? Yes, the OJEE exam will be conducted in Berhampur. Is there an exam centre in Angul? Yes, there is an exam centre in Angul. How may centers can i have at choice? hey, I wanted to know how many examination centers I can choose during the application process? OJEE 2017 allows you to select any three of the examination centers available in Odisha, however, you cannot select the same place in all the three options, you will have to select 3 different examination centers amongst which the one selected first will be given more priority. Is the exam center chosen automatically? Do i have the choice of choosing an examination center? The Examination Center for OJEE 2017 is selected while submitting the application form , however once the exam center has been alotted it cannot be changed under any circumstances. How many exam centres are there in Orissa? The exam will be conducted across 30 centres in Orissa. The candidate can choose 3 centres but the ultimate decision of allotting the centre is in the hands of the concerned authority.